Ernest Gero was born in Hungary in 1888. He became a member of the Hungarian Communist Party and was a member of Comintern in France and in the 1930s took part in the Spanish Civil War. In elections held in November, 1945, the Smallholders Party won 57% of the vote. The Hungarian Workers Party, now under the leadership of Matyas Rakosi and Gero, received support from only 17% of the population. The Soviet commander in Hungary, Marshal Voroshilov, refused to allow the Smallholders Party to form a government. Instead Voroshilov established a coalition government with the communists holding some of the key posts. Zoltan Tildy, was named president and Frenc Nagy prime minister, both of the Smallholders Party. Matyas Rakosi became deputy prime minister. In February 1947 Soviet troops began arresting leaders of the Smallholders Party and the National Peasant Party. Several prominent figures in both parties escaped abroad. Later Matyas Rakosi boasted that he had dealt with his partners in the government, one by one, "cutting them off like slices of salami." The Hungarian Communist Party became the largest single party in the elections in 1947 and served in the coalition People's Independence Front government. The communists gradually gained control of the government and by 1948 the Social Democratic Party ceased to exist as an independent organization. Its leader, Bela Kovacs was arrested and sent to Siberia. Matyas Rakosi also demanded complete obedience from fellow members of the Hungarian Workers Party. When Laszlo Rajk, the foreign secretary, criticised attempts by Joseph Stalin to impose Stalinist policies on Hungary he was arrested and in September 1949 he was executed. Janos Kadar and other dissidents were also purged from the party during this period. Rakosi's power was undermined by a speech made by Nikita Khrushchev in February 1956. He denounced the policies of Joseph Stalin and his followers in Eastern Europe. He also claimed that the trial of Laszlo Rajk had been a "miscarriage of justice". On 18th July 1956, Rakosi was forced from power as a result of orders from the Soviet Union. However, he did managed to secure the appointment of Gero, as his successor. On 3rd November, Nagy announced details of his coalition government. It included communists (Janos Kadar, George Lukacs, Geza Lodonczy), three members of the Smallholders Party (Zolton Tildy, Bela Kovacs and Istvan Szabo), three Social Democrats (Anna Kethly, Gyula Keleman, Joseph Fischer), and two Petofi Peasants (Istvan Bibo and Ferenc Farkas). The uprising began on 23rd October by a peaceful manifestation of students in Budapest. The students demanded an end to Soviet occupation and the implementation of "true socialism". The following day commissioned officers and soldiers joined the students on the streets of Budapest. Stalin's statue was brought down and the protesters chanted "Russians go home", "Away with Gero" and "Long Live Nagy". On 25th October Soviet tanks opened fire on protesters in Parliament Square. One journalist at the scene saw 12 dead bodies and estimated that 170 had been wounded. 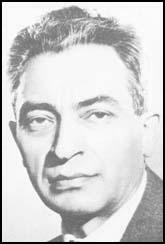 Shocked by these events the Central Committee of the Communist Party forced Gero to resign from office and replaced him with Janos Kadar. Gero now moved to the Soviet Union for safety. Ernest Gero died in 1980.